On February 3rd, 2008 EwB and Pro Arte put on a Woza Afrika Concert at the Kay Meek Theatre in West Vancouver. 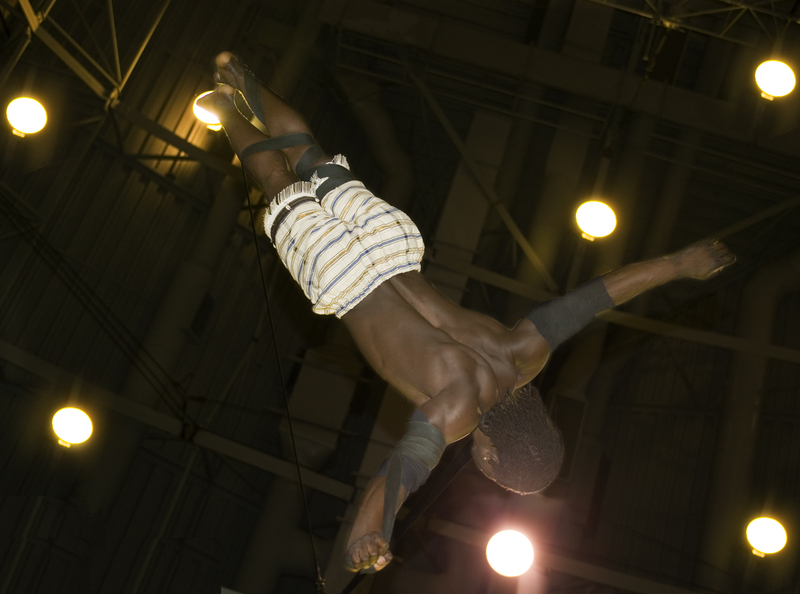 This was a fundraiser for EwB and the Kalabante circus school in Guinea Conarky. The evening featured the Pro Arte dancers and a circus show put on by Yamoussa Bangoura ( Kalabante’s inspirational leader, mentor and teacher) and some of his friends. The revenue was split between EwB and Production Kalabante. Production Kalabante is a humanitarian aid project which promotes and supports basic education in Guinea – Conarky. $6000 was given to Yamoussa from the revenue to develop a circus school in Conarky. Children admitted to the school were given basic education and taught circus skills. Cavalia – Odysseo ( www.cavalia.net) recently played in Vancouver to packed audiences and is on a cross-continent tour. Members of the Kalabante circus school were an integral part of this extraordinary show. Thank you Pro Arte families and friends – those tickets you purchased gave dreams and hopes that came true to young artists across the world!